Have we been here nearly a month already? Hard to believe! This morning I’m sitting up in bed at my in-law’s house in Carcross where we spent the night after celebrating Mr. C’s birthday. Happy Birthday, my beloved! We’ll get back to the cabin sometime this afternoon, not too late. So far, my trips to town have been few and far between. And thats okay. Town trips are mainly to run errands and grab a few minutes of internet. I mean it about the few minutes, too…only one hour per day is allowed at the library. And so, I haven’t opened Facebook in a couple of weeks, nor answered very many email notes. My online life totally neglected at the moment, but honestly, not really missed. I’ve been writing (almost) every day for a couple of hours. I’m thick in the middle of novel rewrites. I’ve also been doing a lot of critiquing & beta reading for the writing groups I belong to. I feel as though the learning curve has steepened again, and it’s really wonderful. Writing is something of an emotional roller coaster … One thing I can say, now, is that I’m finally starting to feel like a writer. If that makes any sense. Maybe someday I’ll also be an author, lol! I’ve also been out on the deck nearly every day doing an hour of yoga in the sunshine. 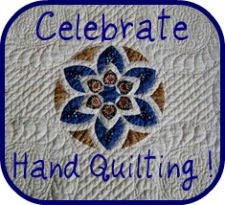 And managing to keep up with the Splendid Sampler quilt blocks, for the most part, too. Now that’s a miracle, to be sure! Dont be shy…drop on by. There’s beer in the fridge and the kettle’s always on! Thanks to Bill and Heather for the visit the other day and these wonderful photos. This entry was posted in Cabin, Fox Lake, Summer, Vacation, Whitehorse, Yukon and tagged cabin, cabin living, Fox Lake, summer 2016, yukon. Bookmark the permalink. Sounds like you have had a great time. I am semi off the grid when it comes to the weekend, lol. What a marvelous summer! I did notice on the row x row experience, there is one quilt shop in YT and one in NWT. Just in case, you know, one of them is close enough to collect a license plate or row. =) Whitehorse and Yellowknife. Some of the license plates are great. I especially liked Idita-Quilt and Sew-N-D-Snow. =) Enjoy that time without internet interruptions and work hard on those revisions.